I want to get through my divorce as cheaply as possible. My wife and I have been married for 5 years, we don’t have children and we started our relationship as best friends. I have learned that there are many different routes I can take to get a divorce. Does it matter if we have been married 5 years or 50? How do I know who to hire and which route to take? The cheapest and easiest way to divorce is to sit at the kitchen table and hash out your divorce agreement. It doesn’t matter whether you have been married 5 or 50 years if you two understand your legal rights and finances. Unfortunately, this is not easy, and many need help to negotiate the financial, custodial and legal quagmires. You are correct in th at there are many routes you can take to get a divorce. You can do litigation, mediation or collaborative law. Most divorces eventually settle and don’t go to court. Going to court is the most emotionally traumatizing and financially draining way to divorce. My initial recommendations are first to attend a Second Saturday panel to begin the process. Then have a paid one to two-hour consult with an excellent litigation attorney to fully understand your rights about your unique case. By doing these two things, you will have more clarity around the divorce process – Knowledge is Power. The two people getting divorced, their personalities, habits, and the issues around the divorce will usually decide which route you should choose to have a healthy and fair divorce outcome. In your case, if you two can agree on most things but have a few areas of conflict, I highly recommend meditation. You can have your attorneys mediate (more expensive), have a retired judge spend the day with you and your lawyers to hash out the details (even more expensive, but cheaper than going to court), or you can hire a Court Certified Mediator to help you create the Agreement. It’s important to know that a mediator cannot give you legal advice. They can’t say if what you agree to is legally beneficial to you. I highly recommend that each of you hire your separate attorneys to review the Agreement before you sign on the dotted line. In this column Cynthia will answer your emotionally based and general questions about divorce. 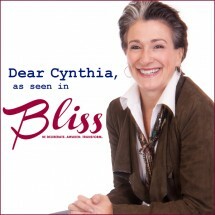 Cynthia is a life coach and energy worker who specializes in working with people considering, going through, or stuck after divorce. To ask Cynthia a question about divorce, you can email her at: cindy@transform-heal.com. This advice is sound. I would add that it is wisest for most people to start with a mediation-friendly attorney. By conferring with such an attorney, you can learn about your legal rights and responsibilities and learn what sort of outcome is reasonable to expect. Then you can work with a professional family mediator to help you and your spouse negotiate your settlement. Have your lawyer look it over before you sign it.